Many Emergency Physicians are deeply committed to education. Many will be also be instructors on life support courses. This will often be done in their own time and at not inconsiderable personal sacrifice…. In the current climate we are also facing some pressures in job plans and rosters to justify our efforts and activities beyond just seeing patients on the shop floor. Now obviously seeing patients is what we are all about, but in order to do that we need to develop ourselves, our staff and our departments. Education is key to this and I’m a fan of accrediting those efforts externally as ‘evidence’ for revalidation and appraisal. So, I am delighted to announce that the Academy of Medical Educators (AoME) in the UK has approved the Generic Instructors Course (GIC) course as an equivalence route for membership of the Academy. In the past membership was obtained by completing an application form involving a fair bit of reflective writing and evidence. It was good, but it did take a bit of work and I think it put a lot of people off applying. The new automatic approval process means that if you have passed the GIC you will be automatically accepted as a member of the Academy. Bonzer indeed, though it is worth stopping and thinking about the benefits. There is a cost of course which is pretty high in my opinion. If you are part of an organisation with corporate partnership then you pay the reduced rate (ALSG is, as is my own trust). It’s also tax deductable, so if you are lucky enough to pay lots of tax then it’s considerably less again. * lower rate applies for corporate partners & ALSG is one. So, apart from the benefits of external validation and a signal to others that you are a ‘professional educator’ (Ed- really???) what else is in it for you? It’s worth having a look at the following document from the Academy itself to explain more, but in essence this is a move to professionalise and recognise education as a specific skill and role. If you are interested in education this may well prove valuable in the future. If you have not done a GIC course, then don’t worry you may well still be eligible for membership or even fellowship of the academy through the usual routes of application. A number of workshops on applications are planned by the academy around the country and you can attend one of those. Ed – What if I did my GIC with the Resus council?? Good question. As I understand the situation at the current time this is a specific arrangement with ALSG. I don’t think the Resus council is a corporate partner, and I don’t think they have been through the approvals process. I would check with them directly if you want to know more. My own conflict of interest is perhaps that I am a Fellow of the Academy and was for a brief time a member of Council, though that ended last year. 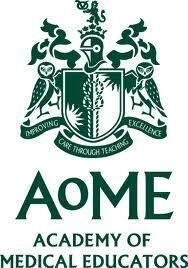 I’ve also facilitated some workshops on joining the AoME so feel free to take my comments with a pinch of salt. I’ve also done loads of work with ALSG including a little to do with getting this process approved. The major thanks must go to the fabulous Sue Wieteska of ALSG who has yet again done an amazing job in supporting the hard working instructors of ALSG. Thanks also to Mike Davies and Kevin Mackway-Jones & everyone else who has contributed. Next: Next post: Emergency Medicine: A risky business part 6. How many steps to disaster? I don’t think so. The approval is linked to the organisation that you wsill have done your instructors course with. ALSG is quite progressive with this IMHO, so they have sought approval for the courses that they oversee. I suspect that other organisations would be eligible, but they would have to apply to the academy to get them approved. Who did you do your GIC with?